1. Online through the LMST webpage that Freestyle set up for our team: https://freestyleonline.com/catalog/category/view/s/lake-monticello-swim-team/id/957/. 2. At the Freestyle store in Charlottesville (475 Westfield Road, Charlottesville, VA 22901). 3. At the Mock Meet on Wednesday, June 5th from 5-7pm – there will be a Freestyle rep with a table set up selling the team suits, as well as goggles, bags, swim caps and other swimming items. 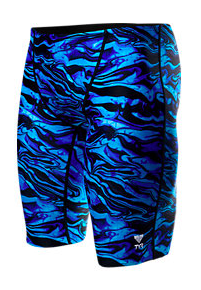 The suits are TYR Miramax in blue/black marbled. The girls’ one-piece suits cost $57.99 plus tax. The boys’ jammers cost $39.99 plus tax. LMST does not require swimmers to purchase the team suits but they are nice to have for swimmers to wear to meets.